By Tamar Gabelnick, Policy Director, International Campaign to Ban Landmines – Cluster Munition Coalition. 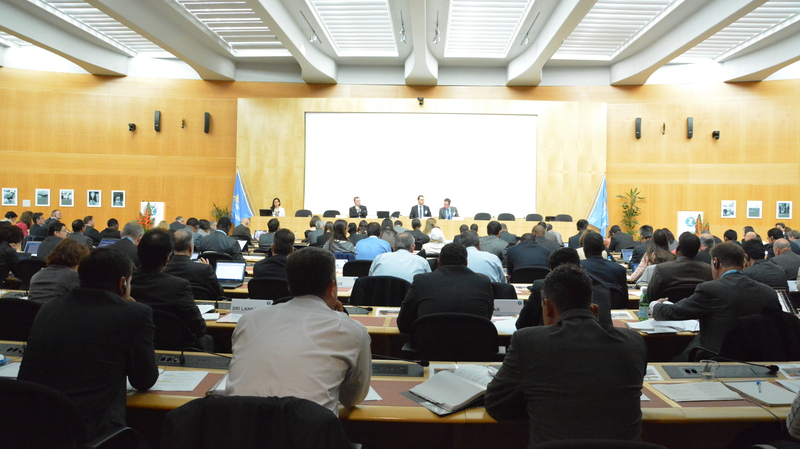 At the Intersessional Standing Committee meetings last month, six States Parties presented requests for more time to clear mined areas under the Mine Ban Treaty, and six times the co-chairs’ request for comments was met by silence in the large plenary room. Looking around, hoping in vain to see another flag up first, the ICBL and the ICRC filled the void over and over, providing our detailed analysis on the requests. The only state to speak during the entire session was The Netherlands, asking Sudan if all the international NGOs had left the country. No one else asked Sudan why the NGOs felt no choice but to leave with so much work left to be done. No one challenged Turkey when it reported that it would only begin addressing its large mine problem in earnest 11 years after joining the treaty. No one asked Serbia why it couldn’t spend more than 150,000 euros a year to clear areas posing a direct and daily danger to people’s lives. No one even questioned Germany’s assessment that it would need two years to clear an area the size of a football field. This was not the way it was meant to be. And indeed, in the first year or two that states began to make use of the treaty’s deadline extension provision, other states seemed to take seriously their role under the treaty to consider the requests and “assess and decide” on them. In 2008, when the United Kingdom tried to justify the lack of any clearance to date in the Falkland/Malvinas Islands and the failure to put forward a plan for the additional 10 years requested, state after state took the floor while the rest of the room listened in pin-drop silence. Probing questions were raised about other requesting states’ past progress, the validity of proclaimed clearance challenges, and how states planned to find such large quantities of funds. Some states were asked to reduce the long periods of time they were asking for, and a couple states ended up doing so. But now it seems that most states are satisfied with letting the Analyzing Group – the small sub-group of states tasked to analyze the requests in detail – do all the work, while the rest sit idly by. Yet the close attention of all states is needed to protect the effectiveness of Article 5’s requirement to clear all mined areas “as soon as possible” and no later than 10 years after joining the treaty, and to try to avoid even more extension requests in the future. If states continue to say nothing in the face of unjustified or poorly crafted requests, the unspoken message will remain loud and clear: those states that for political, financial or other reasons are uninterested in quick progress will be able to take all the time they like. Luckily the Analyzing Group – supported by the treaty’s Implementation Support Unit and with input from the ICBL and ICRC – has been producing generally solid overviews of the pros and cons of each request, especially in recent years when annual benchmarks and other commitments have been highlighted. But we need all states to play their role in this process – to speak out when they feel Article 5 is not being respected, as well as to applaud those states working hard to quickly finish mine clearance. Countless people still facing the daily threat of landmines depend on us all to be outspoken advocates and to make the treaty, and their governments, work harder for them.